Brazil’s attorney general has formally charged President Michel Temer with corruption, delivering another significant blow to the nation’s turbulent political class. Temer’s indictment marks the first time a Brazilian leader has faced criminal charges since the country returned to democracy in the 1980s. The charges against Temer have been submitted to the nation’s Supreme Court, and the lower house of Congress must now decide whether to proceed with a trial. If two-thirds of the house votes in favour of trying the conservative leader, then the president will be suspended from duty for up to 180 days while the trial plays out. In such an eventuality, House Speaker Rodrigo Maia will assume the role of president in the interim. The accusation follows the release of an audio recording, which appears to show the president discussing bribes with Joesley Batista, the former Chairman of the world’s largest meatpacking company, JBS. Upon hearing the tape, the Brazilian attorney general has accused Temer of accepting a bribe in the region of $150,000 from Batista. Batista, who has previously been charged for allegedly bribing the former president of the Brazilian parliament, is currently under investigation for insider trading at JBS. In recent years, Brazilian authorities have uncovered widespread corruption at the highest levels of politics and business. Scores of politicians are currently being investigated in the so-called Car Wash probe, a high-profile investigation into corruption and money laundering in Brazil. 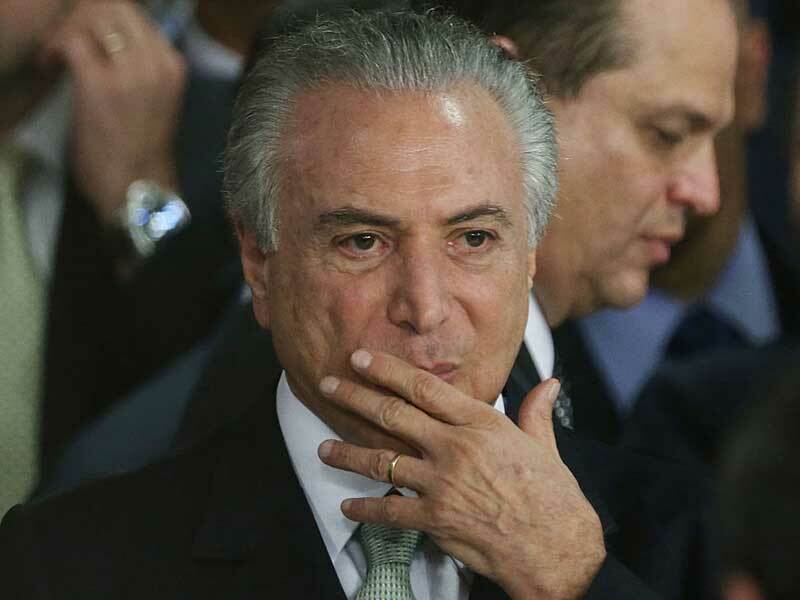 More than 90 people have been convicted under operation Car Wash to date, while a third of Temer’s cabinet and four former presidents are still under investigation. Temer’s predecessor, Dilma Rouseff, was impeached for breaking fiscal laws in August of last year, but she has never been formally accused of corruption or taking bribes. The latest charges come as Brazil struggles to emerge from its worst recession in recorded history. Latin America’s largest economy has now been in recession for two years, with recovery seeming increasingly unlikely as Brazil’s political crisis deepens. With Temer potentially facing a criminal trial, the government may struggle to push through any of its planned public spending reforms , setting the economy back even further at one of the most crucial times in the nation’s economic history.